The last two days have seen Power Sports release a pair of totals in the NBA Playoffs. He won BOTH by DOUBLE DIGITS as Unders in Toronto-Orlando & Philly-Brooklyn cashed by a combined 30 points! 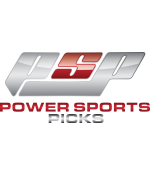 Power is starting Sunday w/ ANOTHER TOP RATED *10* totals play! He's 80% with ALL totals in the NBA Playoffs! Situational POWER-SMASH ~ *INSANE* 22-7 MLB RUN! 10-2 Last 7 Days! Power Sports' resume in MLB speaks for itself! He's currently on an *INSANELY HOT* 22-7 run on the diamond, having gone an AWESOME 10-2 the L7 days! Long-term, the numbers get even SWEETER: 853-616-13 w/ ALL MLB since the start of the 2016 season! Sometimes, a situation DEMANDS a play! This is one of those situations! *10* NHL TOTAL OF THE WEEK (Power Sports) ~ Won BOTH NBA & MLB T.O.W.! Congrats are AGAIN in order as Power Sports cashed another ~SIGNATURE~ *10* ULTIMATE POWER release on Saturday. This time it was in NHL w/ St. Louis. Those ~SIGNATURE~ plays are now an ASTOUNDING 15-3-1 here in 2019! Sunday brings Power's #1 playoff total for the week! Note that he's already won his TOP total of the week in BOTH NBA & MLB! *This subscription currently includes 4 picks (1 MLB, 1 NHL & 2 NBA) but more may be added during the term of the subscription. $1,000/game players have cashed in $14,090 on my NBA picks since 01/17/19! 8* Nashville (3:05 ET): We're all even at two games apiece in this best of seven series, but the Predators still have the home ice advantage as two of the (if necessary) remaining three plays would be played at their rink. After dropping Game 1 here in Music City (3-2), the Preds were able to avoid what would have been a terrible 0-2 hole by taking Game 2 in overtime. In fact, the first three games of this series were all decided by one goal. But Game 4 was all Dallas as they scored four times in the first period en route to a comfortable 5-1 win. Now it's Nashville's time to respond. The Preds went 25-14-2 SU at home in the regular season, so home ice advantage does matter here. (Dallas is below .500 on the road this year). They see an uptick in shots, but more importantly is the decrease in goals allowed. Needless to say, we won't see anything resembling the first period the Stars put together in Game 4. Something key to note is that three of those four 1st period goals Dallas scored in Game 4 came via the power play. Before that, they were just 1 of 13 w/ the man advantage in this series. The Preds are 14-2 SU the L16 times they have been off a loss by 3+ goals. 10* St. Louis (7:05 ET): Enough is enough already! The road team has won all five games in this series, but what transpired in Game 5 may have set the stage for the home team to finally break through and thus end the series. Now it certainly looked as if Winnipeg was poised to win Game 5 at home. They took an early 2-0 lead (scored first goal just 12 seconds in) and carried that into the third period. But then the Blues stunned the Manitoba faithful by scoring three times in the final period, including the game-winner w/ just 15 seconds left in regulation. The series ends Saturday. My view was always that the Blues were the better team here. They have the higher Corsi For %, ranking 9th in the league in that key metric. (Winnipeg is 21st, third worst among playoff teams). For those unaware, Corsi For % is a measure of puck possession time. Obviously, the more a team controls the puck, the more likely they are to win the game. The Jets have allowed far too many shots on goals all season. In fact, in the regular season, they allowed an average of 33.7 shots per game. That's the most among the 16 playoff teams. (St. Louis allowed the 4th fewest at 28.6 per game). 10* Under Sixers/Nets (3:05 ET): The big story here is that Philadelphia likely will be w/o Joe Embiid. But they didn't have Embiid for Game 3 either and still won 131-115 here in Brooklyn. It was their second straight 130+ point game against the Nets, but this time they didn't shoot nearly as well as they did for Game 2 in Phillly (56.1%). That wasn't surprising, but the game still easily went Over the total. As a result, oddsmakers have been forced to up their O/U line for Game 4. I see some value here w/ the Under as Philly should start to cool off offensively. Brooklyn attempted 39 three-pointers in Game 3, a playoff record. Problem is they made only eight. While that percentage may very well improve Saturday afternoon, the real issue for the Nets lies on the defensive end. When they pulled their Game 1 upset, they did so by holding the Sixers to just 102 points. While not necessarily noted as a defensive team, Brooklyn did at least show they are capable of defending the Sixers well once. Now there's no Embiid and at home the task should (theoretically) be easier. Despite Game 3, the Under is still on a 7-3 run when the Nets are off an ATS loss. 10* Under Astros/Rangers (8:05 ET): Houston dropped three of four to Tampa Bay in its first series of the season. Little did we know how good the Rays would be looking at this point. But the Astros have Walso certainly gotten on track, winning 12 of their last 15. Two of their three losses came against the Rangers. But that was before they ripped off 10 straight wins. That win streak ended w/ a 2-1 loss in Oakland Wednesday, but the 'Stros got back on track last night and gained a measure of revenge by beating the Rangers 7-2. With the Under now 10-3 in their 13 road games, that's the way I'll play this one. Texas has not had much offense the last three games, but last night was particularly anemic. They finished w/ two runs on four hits, the third straight game w/ five or fewer runs and nine or fewer hits. Both runs scored last night came from solo home runs and one wasn't until the ninth inning. I don't see them doing much tonight against Astros starter Gerrit Cole, who has pitched at least six innings in all four starts. He's given up three runs or less in each of the last three, one of which was against these Rangers. That start saw Cole betrayed by his offense, which did not score. Last time out, Cole finished w/ 11 K's in a win over Seattle. He has a 0.92 WHIP and all three road starts have stayed Under.